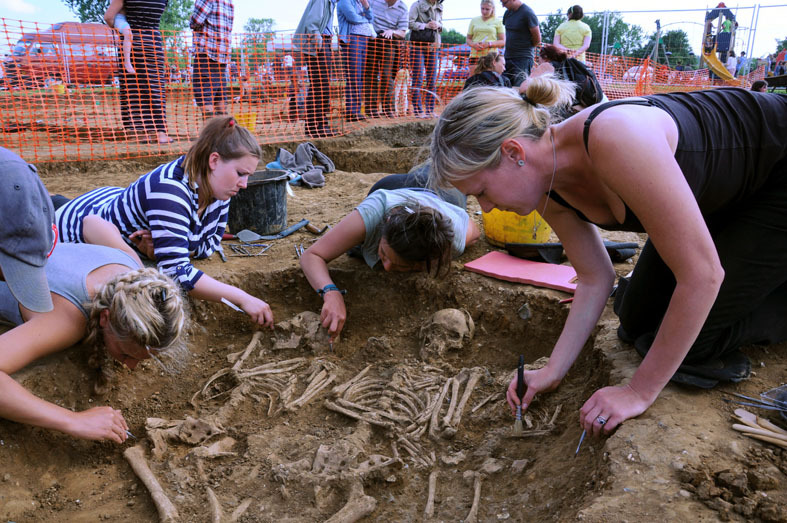 The Oakington Dig project is a multi-faceted research project undertaken by the University of Central Lancashire, Manchester Metropolitan University and Oxford Archaeology East. The Oakington project focuses on an early Anglo-Saxon cemetery and Middle Saxon landscape including significant settlement features. This phase of excavation has been five years long starting in 2010 and has featured in both British Archaeology and Current Archaeology. The aims of the project are two fold, firstly the Bones without Barriers component explores open access, education and human remains, secondly Life on the Edge of the Fen aims to excavate the majority of the early Anglo-Saxon cemetery to explore aspects of society and materiality in the sixth century AD, particularly focusing on funerary performance, relationships and society.